HUNTSVILLE, Texas (AP) — Edgar Tamayo, a Mexican national, was executed Wednesday in Huntsville, Texas, for the slaying 20 years ago of a Texas police officer, Guy Gaddis, 24. The US Supreme Court had temporarily put on hold the execution of Edgar Tamayo, as justices considered appeals to keep him from the Texas death chamber. Texas officials have opposed appeals to stop the scheduled lethal injection, despite pleas and diplomatic pressure from the Mexican government and the U.S. State Department. Tamayo's attorneys and the Mexican government contended Tamayo's case was tainted because he wasn't advised under an international agreement that he could get legal help from his home nation after his arrest. Legal assistance guaranteed under that treaty could have uncovered evidence to contest the capital murder charge or provide evidence to keep Tamayo off death row, Mexican officials have said. But Abbott's office and the Harris County district attorney opposed postponing what would be the first execution this year in the nation's most active capital punishment state, where 16 people were put to death in 2013. Tamayo's lawyers went to the Supreme Court after the 5th U.S. Circuit Court of Appeals said an appeal this week renewing an earlier contention that Tamayo was mentally impaired and ineligible for execution was filed too late. 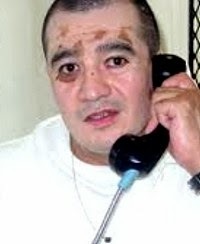 The Texas Board of Pardons and Paroles on Tuesday rejected Tamayo's request for clemency. "Not one person is claiming the suspect didn't kill Guy Gaddis," Ray Hunt, president of the Houston Police Officers' Union, said. "He had the same rights as you and I would have. "This has been looked at, heard, examined and it's time for the verdict of the jury to be carried out."